LoLovie: From Scrap to Fab! I am no longer greeted with recognition at Bebe or Zara, and I am happy to say that the sales assistants at Buy Buy Baby have also forgotten the twin mom in despair; I lost the friendship of those temporary faces. On the other hand, being a stay at home mom in search of self expression beyond the world of Toddlerville, Kat at Fiber Notion craft store knows exactly who I am. 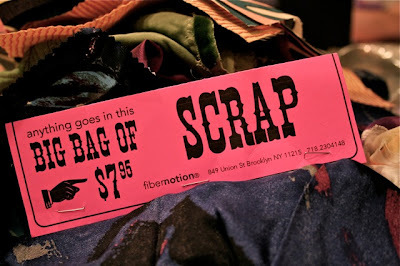 She also knows that I like making "stuff" from "stuff" (now this sounds eloquent :), so she handed me a bag of scrap on my last visit to get my creative juices flowing. Look at this beautiful sheer fabric with flowers in the foreground! I'll make something pretty out of you! 4. Keep turning and twisting until there is no fabric left. Work the end to the side of the flower. Apply the glue as close to the edge as possible, so it's not visible. 5. 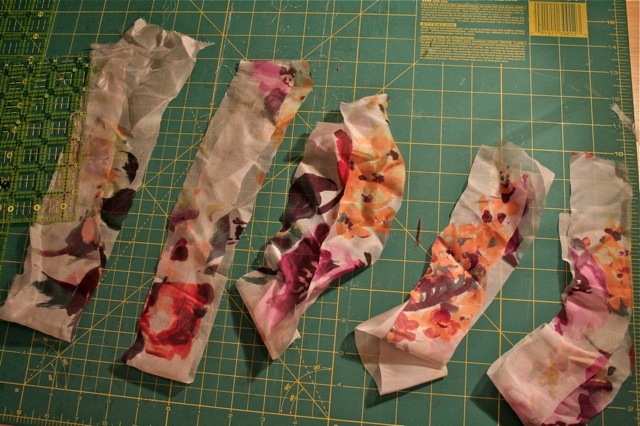 Once all flowers are done, take a pair of scissors and cut them out of the felt. Now glue them side-to-side to each other - again, you don't want the glue to show! Find your old fake pearls or whatever other beads you may have and glue them to the flowers. I don't like symmetry (unless I am at the beauty parlor getting my eyebrows done) so I just glued the beads all over. 6. 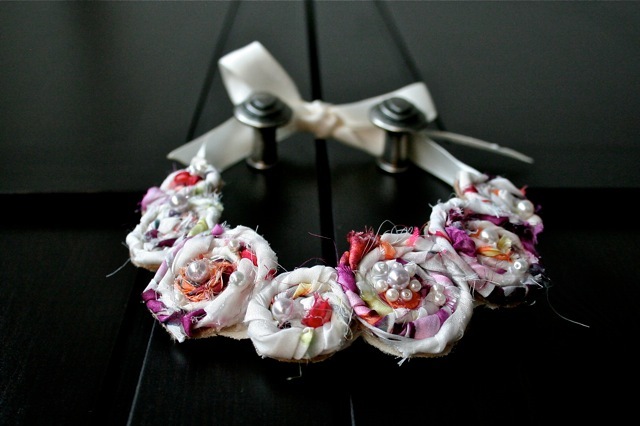 Cut two pieces of satin ribbon and glue them to the end of the back of the florets. Here is a trick! You need to burn the ends of the ribbon so it doesn't fray! 7. Felt scratches and I like my pieces looking nice and neat front to back, so I grabbed a piece of satin and glued the back of the piece to it. I used Fabric Mod Podge, but any fabric glue will surely work! Let it dry, let it dry, let it dry! 8. Almost ready! 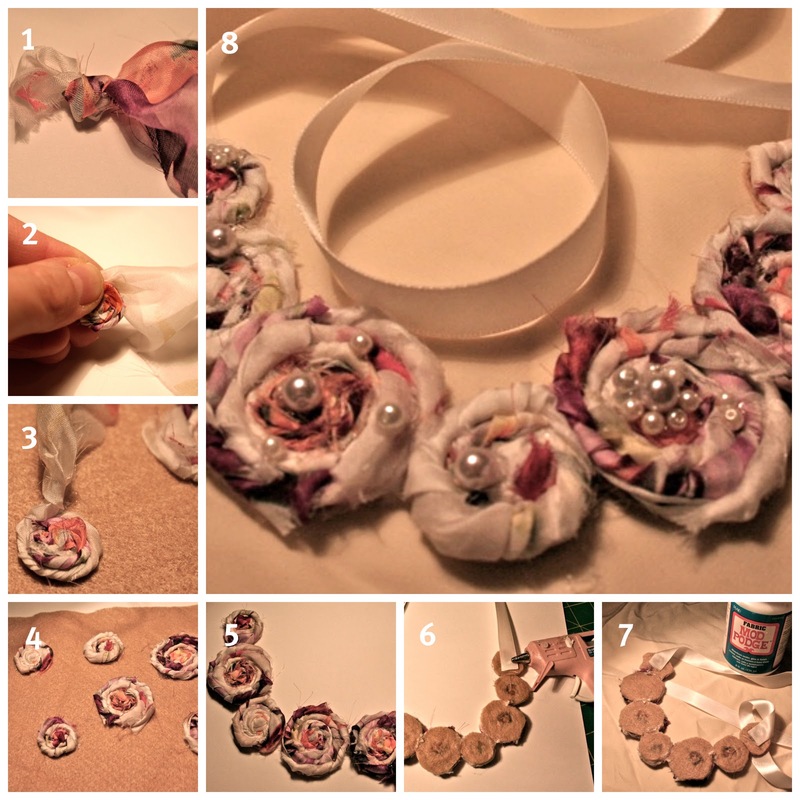 Cut out the necklace from the satin the same way as you cut out the florets from the felt. Coming up: Scrappy design for the house! "Like" me on Facebook or Follow me or leave a comment or all of the above. 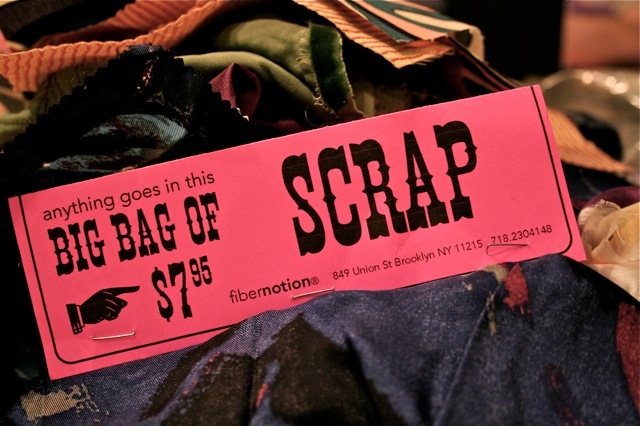 Do you have a scrappy idea? I would LOLOVE to hear about it! I found your blog through craftgawker and it's fantastic! love love love the necklace and I can't wait to see what y9ou do next..that's why I'm your newest follower! Oooh, so pretty! I'd love for you to submit this to the M&T Spotlight at http://www.makeandtakes.com/spotlight. Thank you so much Laurel, I just did. I love the site! Found you on Craft Gossip and following now, great tutorial. Gorgeous! I can't wait to try to make one of these. 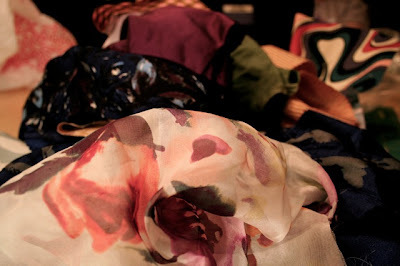 I definitely need a n0-sew project and will have to hunt for scraps. I love it! It´s so beautiful and unique : ) I just made my own and it was really uncomplicated and didn´t take any time at all but the result is so stunning and it cost next to nothing! My favorite combinations of all time ; )I´m a student and hence i don´t have lots of money so i really appreciate this in every thinkable way! Can´t wait to see what´s coming next! Wow...This is what i have been looking for and you have done a great job. Beautiful !!! !